Angela Gregory saluted in NOLA.com’s 300 for 300 Project that highlights 300 people who have made New Orleans New Orleans. In the early twentieth century, such a goal was an ambitious one for a woman, much less a young girl. However, Gregory would be a trailblazer on the path she chose. 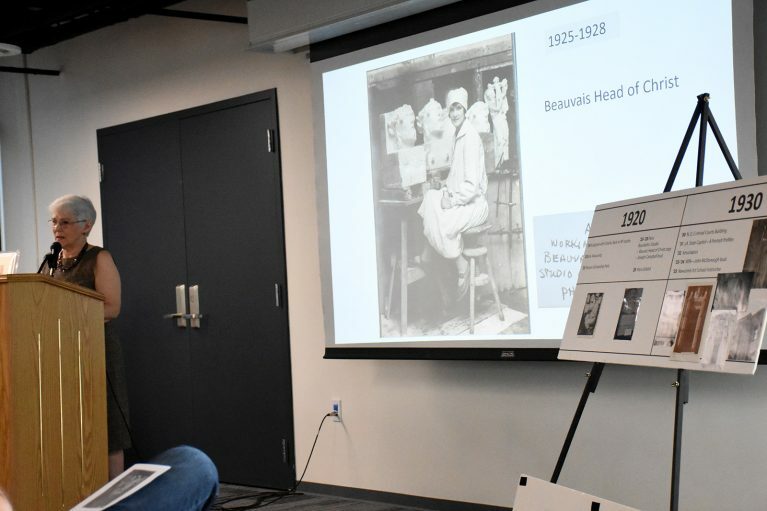 During a presentation to faculty and staff, art historian Susan Hymel, MSS of Baton Rouge traced the arc of Gregory’s work, and the inspirations and world events that influenced her artistic vision. 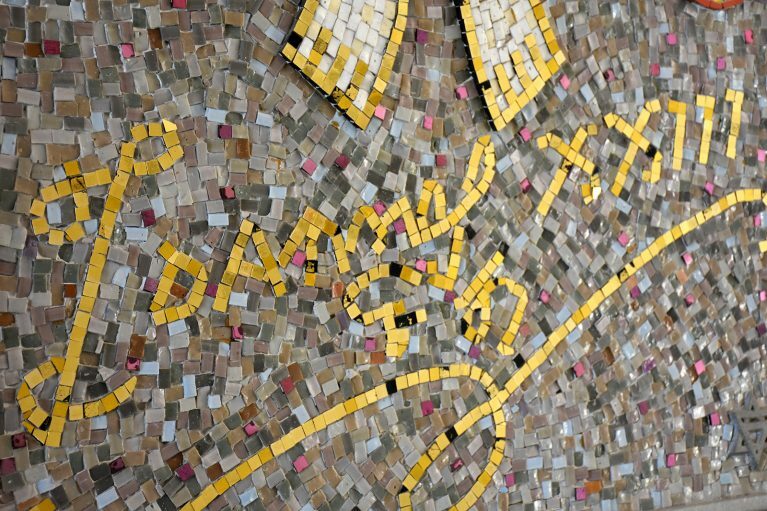 Drawing the connections of science, technology, religion, engineering, arts, and math in Gregory’s work and the links to St. Mary’s Dominican College and St. Mary’s Dominican High School, Hymel noted there are numerous ways teachers can link those connections to STREAM™. Hymel met Gregory in 1970 and over the years has worked to preserve the artist’s legacy. She has helped curate exhibits of Gregory’s work and serves as a consultant to the Angela Gregory Estate – Gregory Art LLC. From Port Allen to Paris, the renowned sculptor left her mark. 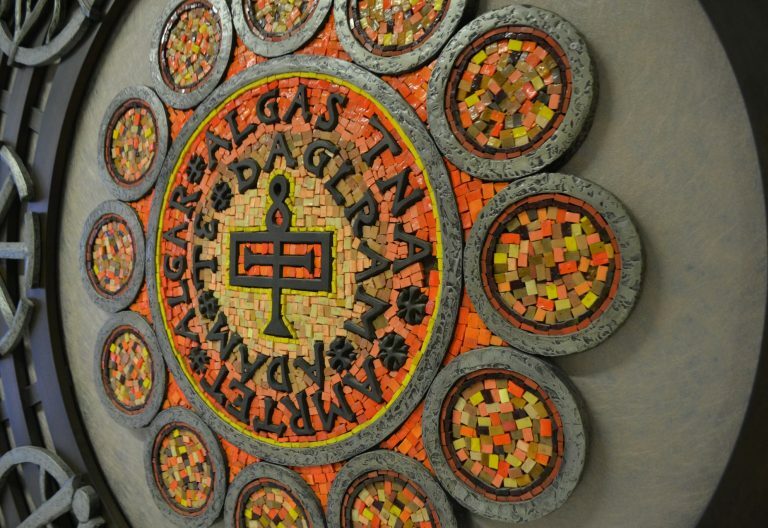 In one of her journal entries, Gregory wrote, “Ideas are born in clay, stone and bronze.” Hymel noted that Gregory was a Unitarian, yet her art connected with faith. 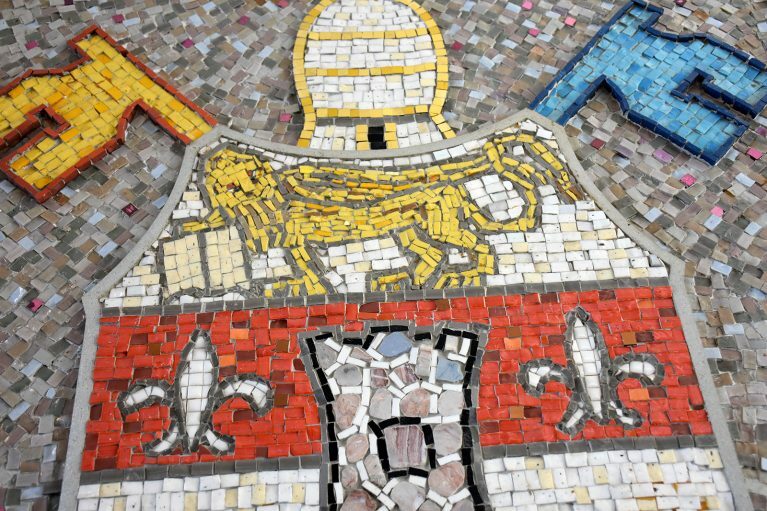 Hymel called St. Mary’s Dominican High School the most accessible place for Gregory’s art. 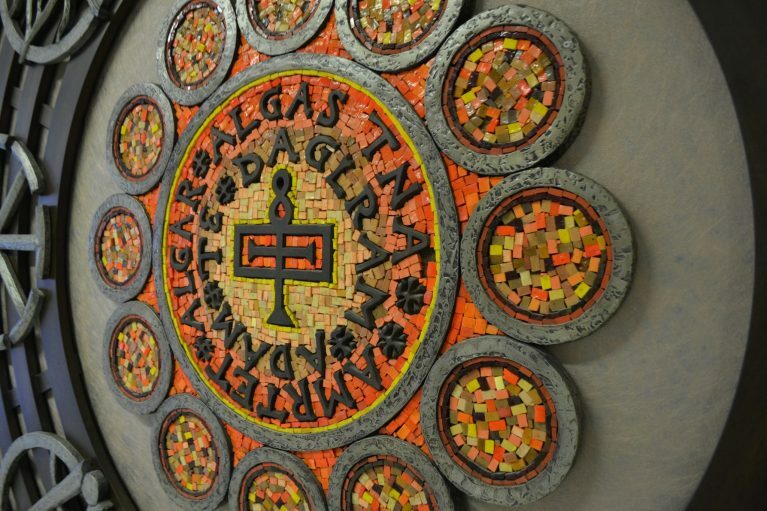 For two decades, Gregory was a professor and sculptor-in-residence at St. Mary’s Dominican College. When she retired in 1976, she was named professor emerita. 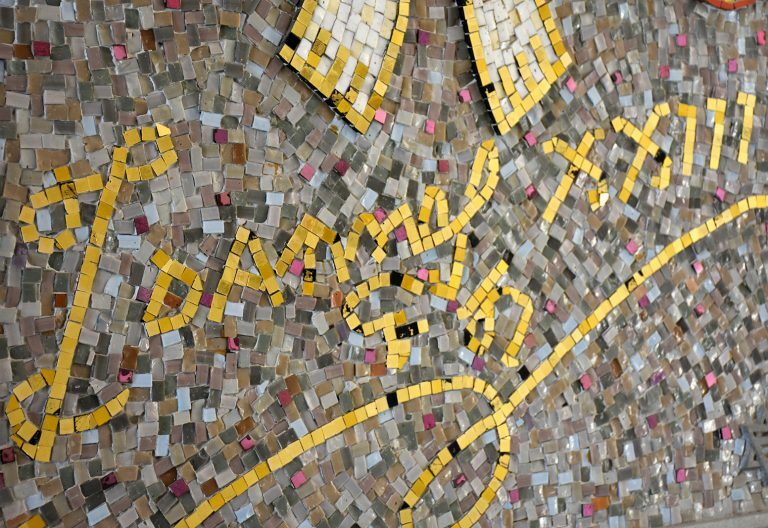 The artist’s roots run deeply with Dominican. 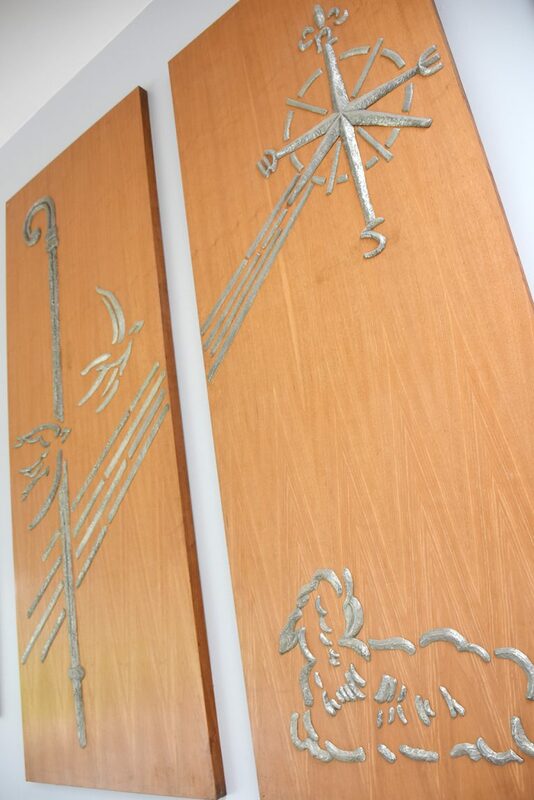 Some of her acclaimed works found a home at St. Mary’s Dominican High School. 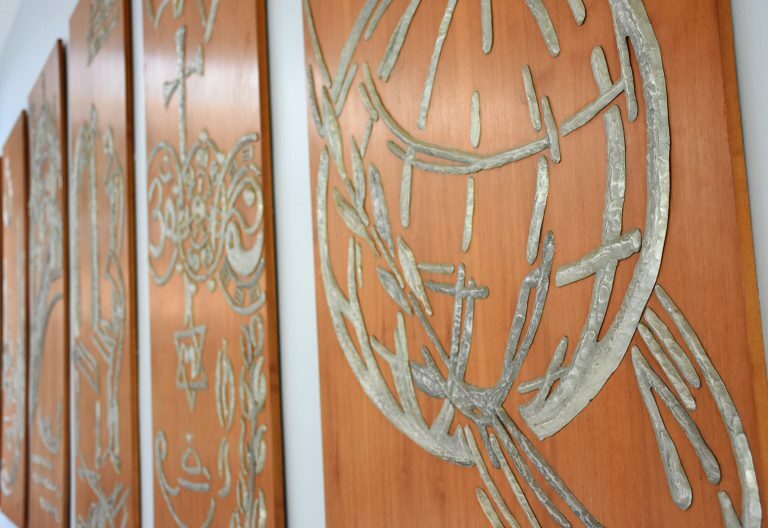 A series of aluminum and walnut panels that trace the life of Pope John XXIII, who was canonized in 2014, grace the north and south walls of Alumnae Hall. 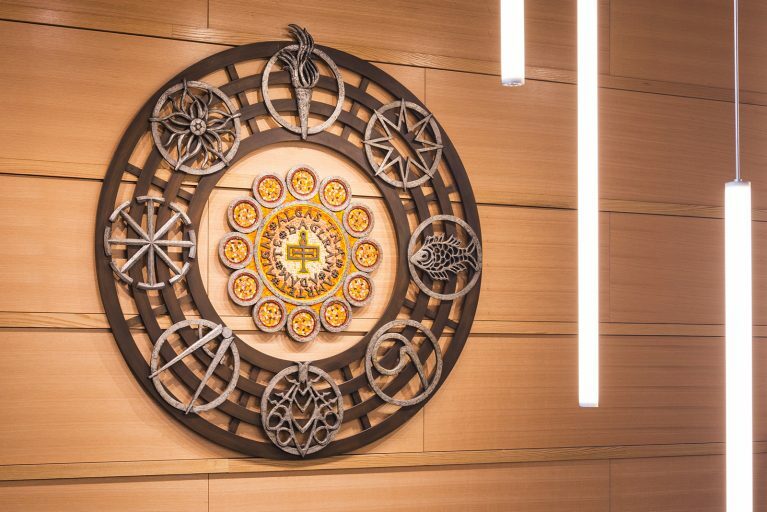 On the second level of the Gayle and Tom Benson Science and Technology Complex, is a sculptural design by Gregory, inspired by the life and dedication of Albertus Magnus, O.P, who was canonized a Doctor of the Church in 1931. Also known as Albert the Great, he is the Dominican Patron of Peace and Patron of Natural Sciences. 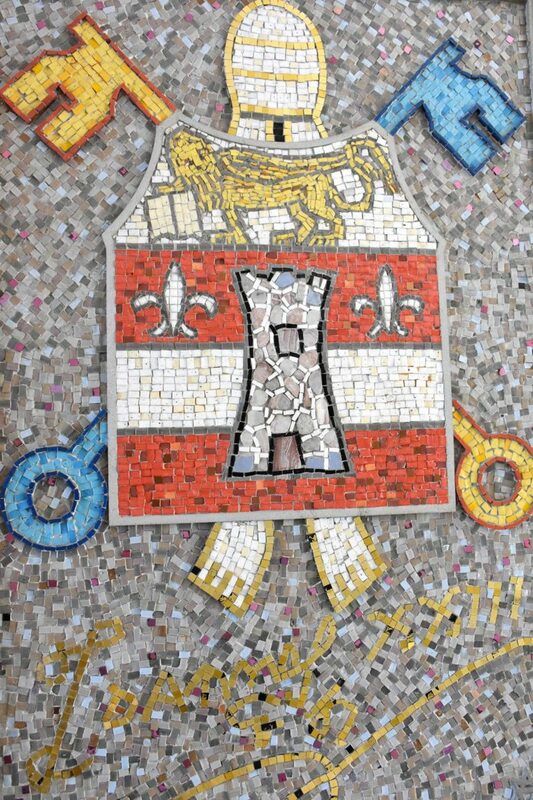 In the northeast entrance to Alumnae Hall, Gregory’s mosaic of John XXIII’s Papal Coat of Arms is on the wall opposite the Music Room. 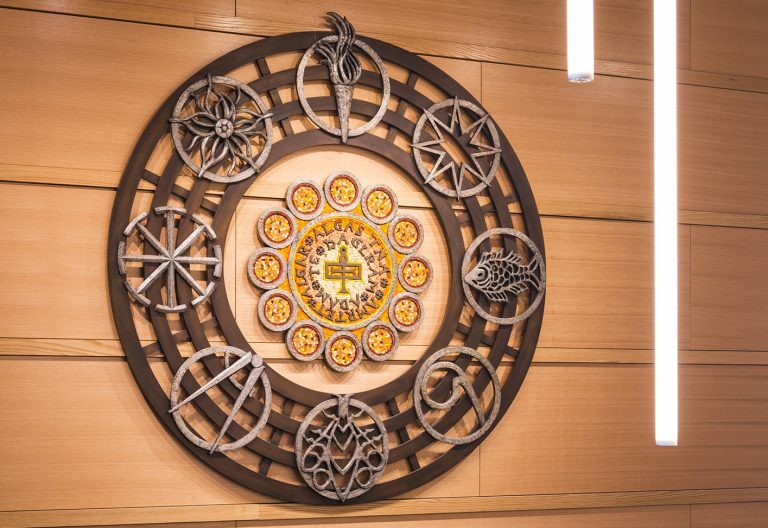 All of these works of art were originally completed for the John XXIII Library and the Albertus Magnus Science Building on the campus of the former St. Mary’s Dominican College; now part of Loyola University’s Law School campus. Another work, the bronze sculpture of the Blessed Virgin Mary which was in Founders Hall, formerly the Motherhouse, Dominican Sisters, Congregation of St. Mary, will be installed at a later date. Born in New Orleans in 1903, Gregory was encouraged and instructed by her mother, Selina Bres Gregory who had studied art at Newcomb College for Women and was an early Newcomb potter. At 14, Gregory started formal art studies in summer classes at Newcomb with Ellsworth Woodward who taught her clay modeling and relief casting. In 1921, she began studies at Newcomb College of Art and graduated in 1925 with a Bachelor of Arts in design. That same year, she received a scholarship to study illustrative advertising at Parson’s School of Fine and Applied Arts in Paris. However, Gregory was determined to study “stone cutting” with the acclaimed French sculptor, Antoine Bourdelle who was a protégé of Auguste Rodin. She was the only American accepted as one of Bourdelle’s students. While working with Bourdelle, Gregory sculpted a limestone copy of the “Beauvais Head of Christ,” later exhibited at the Salon des Tuileries in Paris. In the early 1930s, she worked with a group of sculptors to create historical panels for the façade of Louisiana’s new state capitol building. 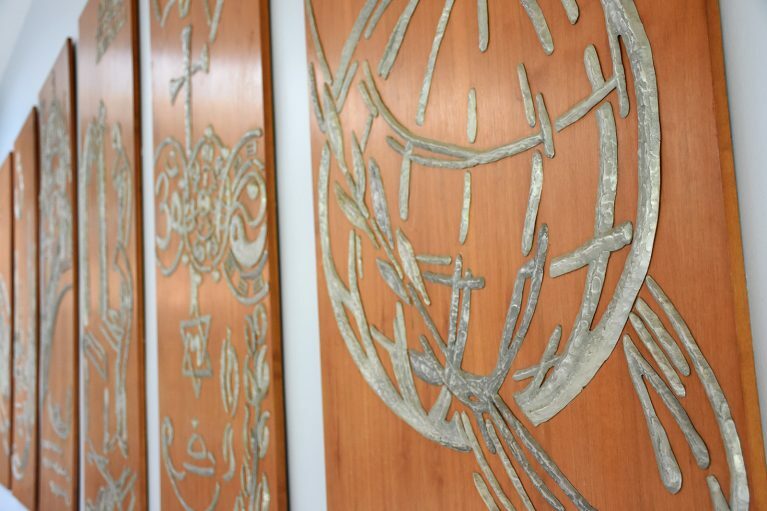 Gregory created eight bas-relief profiles depicting men who shaped Louisiana, and an iron railing bearing pelican motifs that surrounds a relief map of the state that is embedded in the lobby floor. Gregory’s family had strong Tulane connections. Her father William B. Gregory was a professor in the College of Engineering. Her mother was a Newcomb alumna and potter. 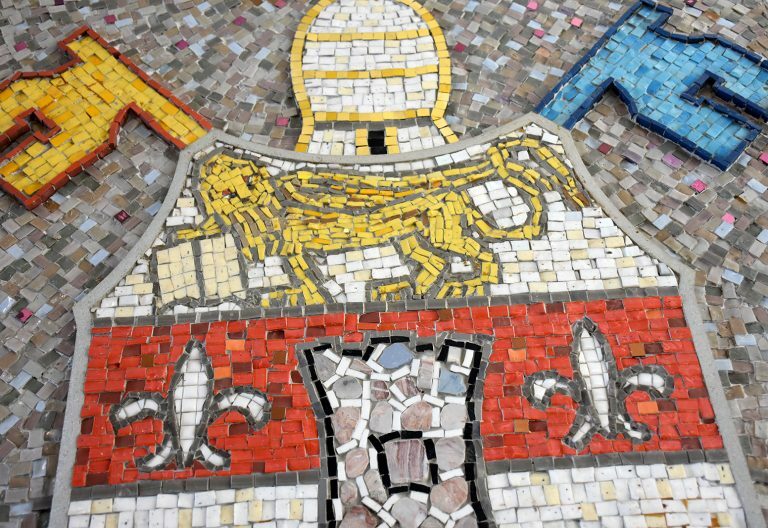 Their daughter Angela produced sculpture for McAlister Auditorium at Tulane University, a head of Aesculapius for the Hutchinson Memorial Building at Tulane Medical Center, as well as pieces for St. Gabriel’s Catholic Church, the First National Bank of Commerce, and Union Passenger Station. For more than 50 years, Gregory worked out of the Pine Street studio, which drew artists who visited from around the country. She taught at Newcomb College, earned a degree in architecture at Tulane, and completed architectural commissions in Louisiana, among other projects. 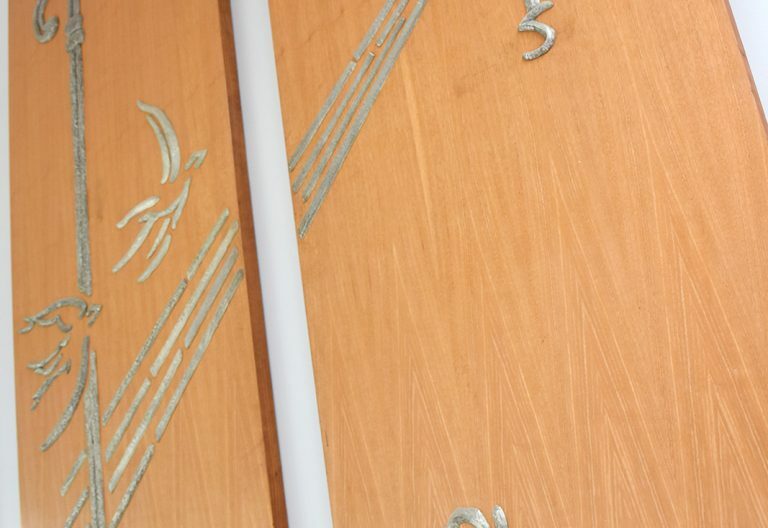 In Baton Rouge, she sculpted relief profiles for the exterior of the State Capitol as well as interior railing, she completed bas-relief panels for the Louisiana National Bank (now Watermark Hotel), and she contributed sculptural railing to the exterior of LSU’s Hodges Hall. At a time when men dominated the field of art, Gregory marked many firsts. During the Depression, she was involved with the federal government-sponsored arts program. When World War II began, she was an assistant architectural engineer for the Army Corps of Engineers in New Orleans, and designed camouflage. She was a women’s counselor for Pendleton Shipyards and a consultant to the Celotex Corporation in New Orleans. At war’s end, Gregory returned to sculpture. 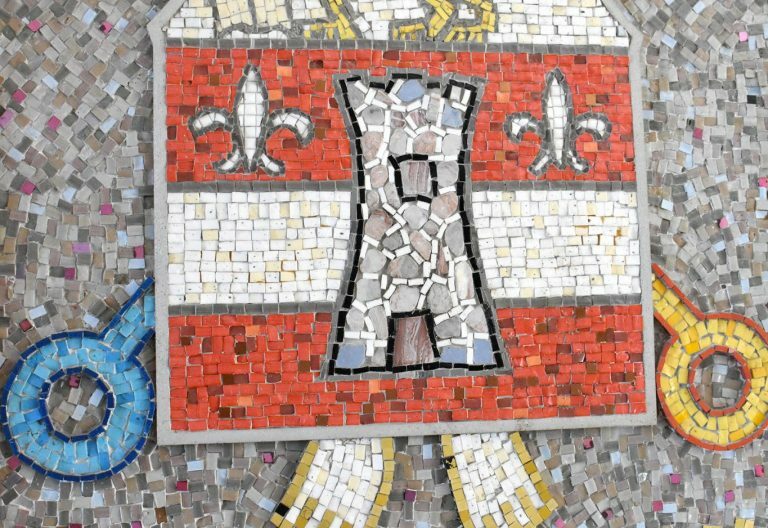 She was given a commission to create bas-relief murals for the Louisiana National Bank in Baton Rouge, and she restored sculpture on New Orleans’s Gallier Hall. In the 1950s, she worked for five years on a bronze sculpture depicting the first French colonial governor of Louisiana. She spent two years in France, where the monumental piece was cast. The statue of Jean-Baptiste Le Moyne de Bienville, in the company of a priest and an Indian, stands in a small park at the intersection of Decatur and Conti streets in the French Quarter. Gregory’s work has been exhibited at the Salon des Tuileries, at the National Gallery in Washington, DC and the Metropolitan Museum of Art in New York. Louisiana State University Museum of Art boasts a permanent collection of her art. She is also represented in private collections and several museums. In 1982, she was named Chevalier de L’Ordre des Arts et des Lettres by the French Minister of Culture. Tulane University and Newcomb College each named her outstanding alumna. At the time of her death in 1990, she was one of the few women fellows of the National Sculpture Society.